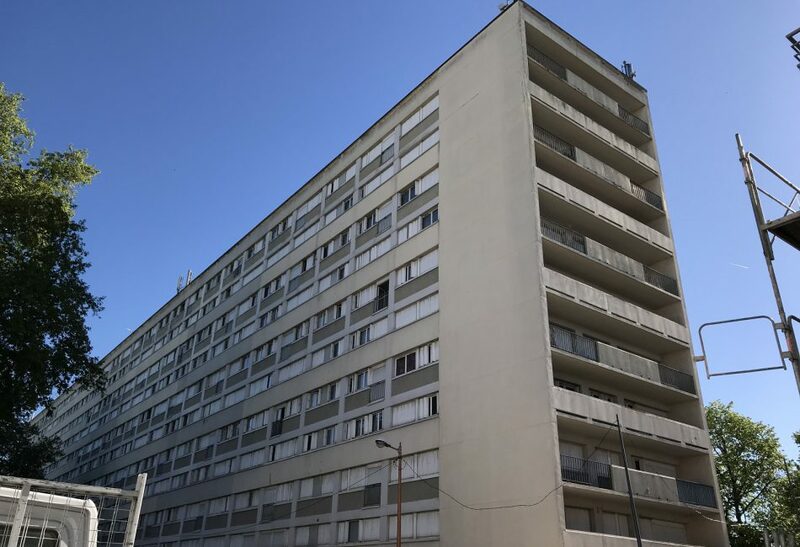 The site is situated in Bondy town centre and is part of the territory of the Plaine de l’Ourcq which is going through profound transformation, in particular the Avenue Gallieni. The proposed site is within the scope of the De Lattre de Tassigny Urban Renovation Programme (PRU), and consists of a social housing block which will be demolished by 2019. At the moment it is served by several bus lines and its accessibility will be improved by the arrival of the TZEN 3 in 2022 and line 15 to the Pont de Bondy in 2030. This site is designed to maintain the link between Bondy town centre and the Ourcq Canal. The plan is, therefore, to develop an urban continuity between the north and the south of the commune through mixed planning: housing, shops, a public education centre focusing on multi-lingual skills, and a city stadium.